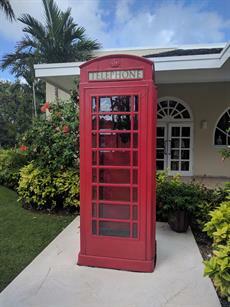 See pictures from C&IT's exclusive trip to The Bahamas with Sandals luxury resorts, including a stay at the Emerald Bay and Royal Bahamian resorts. 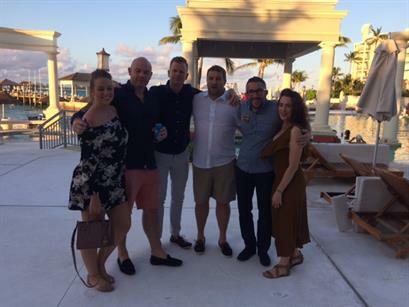 C&IT was invited to sample two of the Sandals resorts in The Bahamas from 14-18 September, alongside senior event planners and MD's from The Appointment Group, Freshly Squeezed Events, CMM, In2Events, Yellowfish and Global Events. The trip began at the Sandals Royal Bahamian property with dinner on a private island. After taking the boat across the crystal clear waters, the group was greeted by a traditional Junkanoo band and cocktails. A three-course dinner was served in a pavillion on the beachfront. Day two allowed guests to preview the property on an access-all-areas site visit, followed by a tour of a local distillery (with many rum cocktails) and art gallery, then tea at the Govenor's House. 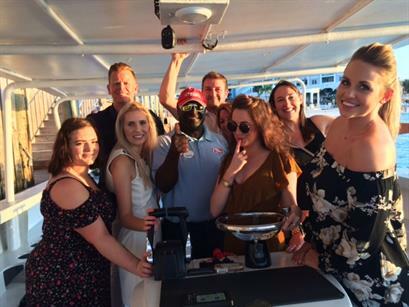 In the evening, the group headed downtown for a conch demonstration and dinner at Frankie Goes Bananas. On day three the group transferred to Exuma to visit the Sandals Emerald Bay resort, kicking off with a hosted breakfast. A full site tour culminated in a drive around the golf course in golf buggies to take in the beautiful beach and cliff views. A leisurely afternoon was spent in the beachfront pool, with dinner at Tepanyaki restaurant Kimonos in the evening. 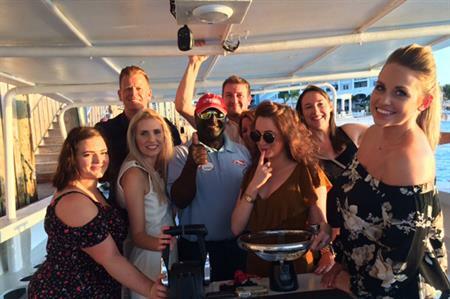 Guests were treated to a boat tour on day four, courtesy of Island Routes, which included swimming with pigs, feeding iguanas, a short trek with an amazing panoramic view and snorkeling. Dinner at on-site Indian restaurant Bombay Club closed the day. The final day was spent at leisure, with complimentary spa treatments for all guests provided by the resort, before the group departed for the UK.